Nowadays eCommerce industry is the fastest growing and overstuffed with effective platforms . Developers never sleep and create more and more robust solutions. To keep up with latest trends store owners are forced to perform regular upgrades or even switch their shopping carts to get top-notch technology. Despite the fact there are many “efficient eCommerce newbies” presented from day to day, some of platforms have already proved their respectable reputation and gained world recognition. Today we are going to talk about two leading shopping carts and define which one will suit your business more and why. Fasten the belts, we’re starting Magento vs WooCommerce 2017 battle of the year! Magento vs WooCommerce. What’s in common? No doubts that if you are just thinking to start online business, these two will be in your short list. Even if you are experienced merchant you must heard of these top-notch shopping carts. 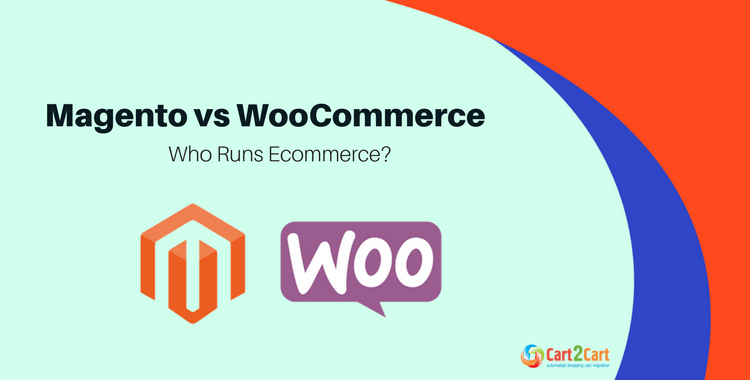 So which one is better to go with, Magento or WooCommerce? Let's take a closer look on their similarities and differences. It is worth mentioning, that both platforms have open-source nature. No difference what you pick up Magento or WooCommerce, you’ll get access to original code with ability to modify it or contribute to it how you want. The biggest advantage of open-sourced platform is the unprecedented flexibility and ability to customize every corner of your store. By the way, both solutions have the powerful community of developers behind. 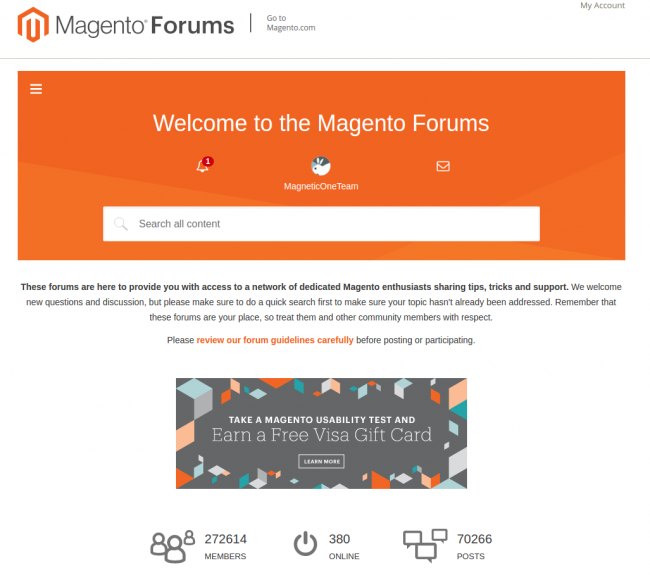 You can ask questions on forums and get direct help from other users. Moreover, Magento and WooCommerce have something in common regarding product management and communication - you can have unlimited products in one place and run your own blog (effective blogging functionality is offered) that can significantly influence on your SERP visibility. Note that in Magento you need extension to set up a blog and WooCommerce, being WP plugin, has it by default. Regardless your choice, both shopping carts run on “freemium” business model. This doesn’t mean they are completely free (check this post “Why Free Shopping Cart Software Isn’t Free?”). Magento and WooCommerce make money selling plugins and extensions you’ll need to develop advanced store. Magento vs WooCommerce. What’s different? WooCommerce is WP plugin that offers progressive eCommerce features, saving ease-of-use of the most powerful content-management system. Magento in its turn is a thoughtfully developed standalone platform designed to run medium and large online stores. This solution provides users with top-notch functionality and robust set of eCommerce tools. Magento is named to be “Ecommerce industry standard”, offering powerful and top-notch functionality. Today WooCommerce is the most popular and worldwide used eCommerce platform. This robust shopping cart offers enough powerful features to build up advanced store. What about store setup and management? 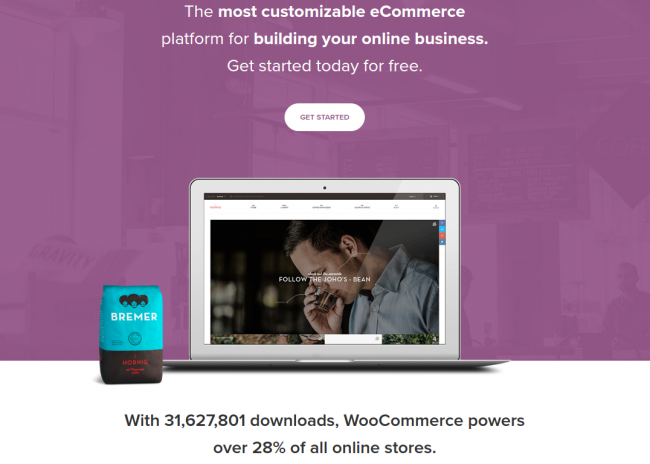 WooCommerce is easy to start with. If you already have a WP site and you want to add eCommerce functionality - WooCommerce is the best plugin to choose, it will relieve you of getting used to new interfaces or moving to another platform. Even if you are not WP user - WooCommerce is a great choice to eCommerce newbies. Store management and daily routines are fairly simple. In addition, there are numerous of video tuts explaining how to start selling online with WooCommerce. By the way, the new WooCommerce 3.2 was released on October 11th. It includes lots of enhancements and improvements that can boost your store performance. New filters will allow you to manage your subscriptions and sort extensions by installed/activated/download/update. This can facilitate your daily routines and keep you notified about current statuses of your addons and updated as well. Speaking about Magento, we should mention that before release of Magento 2, the platform was quite complicated to manage. Now the processes are facilitated a lot and Magento interface has become user-friendly. The shopping cart also offers many video instructions showing how to deal with it. Some difficulties may occur when you start adding extensions. In case that will be a challenge you can always hire an experienced developer to do this job. With a new Magento 2.2 release on September 2017 merchants got even more progressive features. While store owners are migrating from Magento 1 to 2, developers are intensively updating new versions of second “Industry standard” generation. Along with many bug fixes and minor changes, the new Fraud Protection functionality and Advanced reported module were added. In addition, from now on customers can create a cart with more than 300 line items and store owners can easily process it. 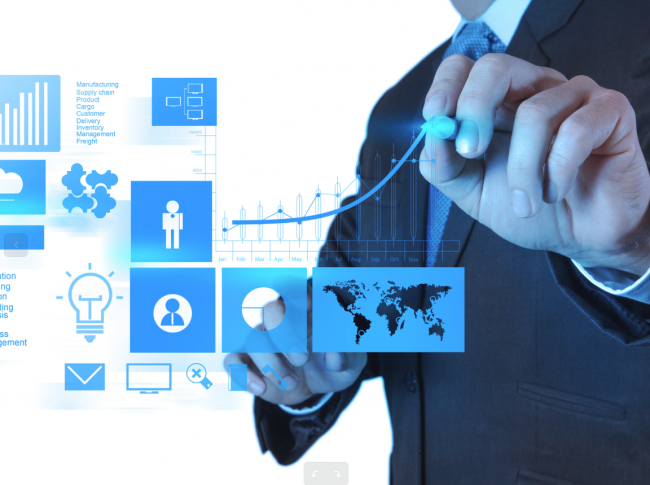 New version is much stable and provides many new effective features to B2B online businesses. What about themes and design options? Both WooCommerce and Magento can boast of beautifully designed templates and unlimited customization possibilities. There are thousands of free and paid responsive themes to chose from. 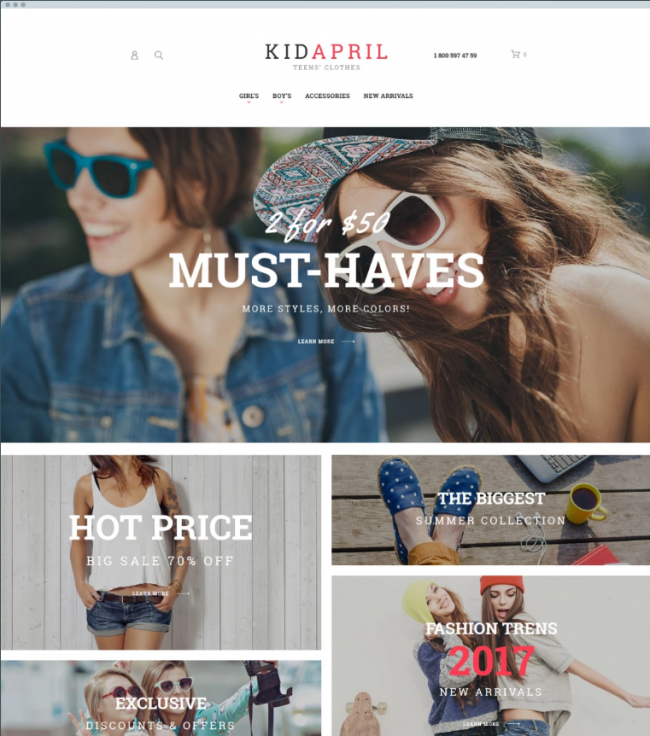 You can find amazing Magento templates on Magento marketplace or pick up some exclusive themes from third-parties e.g Theme Forest or TemplateMonster. No matter which one you’ll choose, they all look clean and attractive. Honestly, WooCommerce has some advantage over Magento regarding design possibilities. 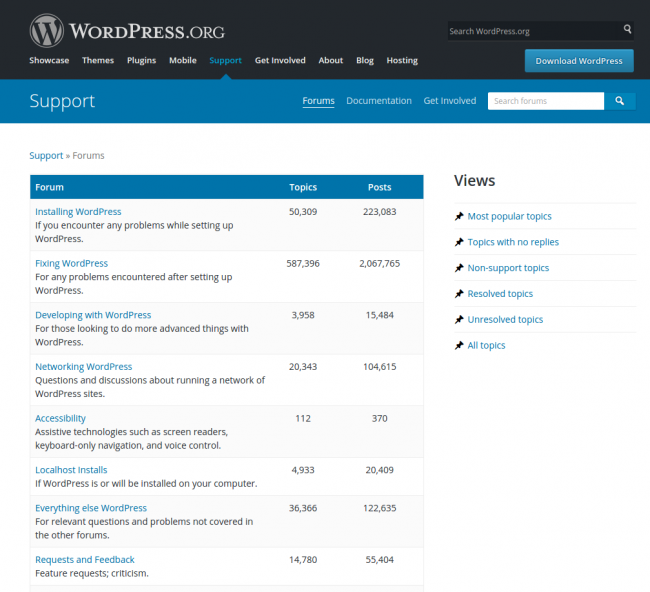 Apart from native WooCommerce themes you can apply any of WordPress (there are tons of them in internet). You can choose which one you prefer and make it work with your WooCommerce store. Sounds great, doesn’t it? 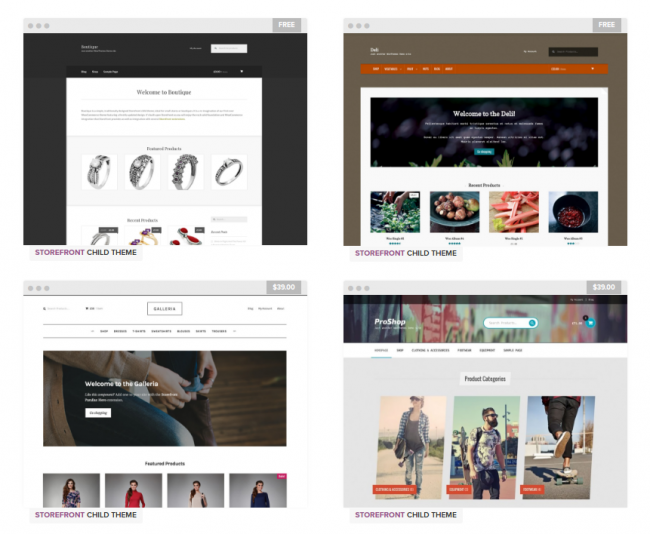 By the way, you can find WooCommerce templates on other marketplaces e.g ThemeForest. WooCommerce also offers one default theme called Storefront (it’s free). This native Woo design helps you to focus on important elements of your e-store and grown revenue in result. And it looks good. There isn’t definite answer what is the best platform to run your e-store. We discussed the absolute leaders in eCommerce, regarding features and technology. Your choice should depend on you budget, business size and final goals. In general, both shopping carts are capable to develop advanced and profitable online store. Each of them is ideal to different merchants. Magento is a better option to large enterprises or companies that manage stores on behalf of their clients. It is also the best choice for B2B businesses. There is no need to run your store on Magento if you’re not ready to spend thousands on developers and “conquer the world” in result. WooCommerce is perfect to small or midsize businesses and suitable even to no tech-rats. It is also a great choice to merchants who already run WP sites. Important to know that Magento was especially designed to handle eCommerce stores, but it doesn’t make WP plugin WooCommerce less effective or weaker in functionality. I can only say that the final choice of your perfect match is all up to you! In case you see that your current solution does not correspond to your aim and lacks some advanced functionality, you can transfer your eCommerce data to Magento, WooCommerce or whereas via Cart2Cart automated migration tool. Get your store to a new level and enjoy top-notch functionality of desirable platform in few clicks only. Sign up and start FREE DEMO now. 24/7 support is offered.